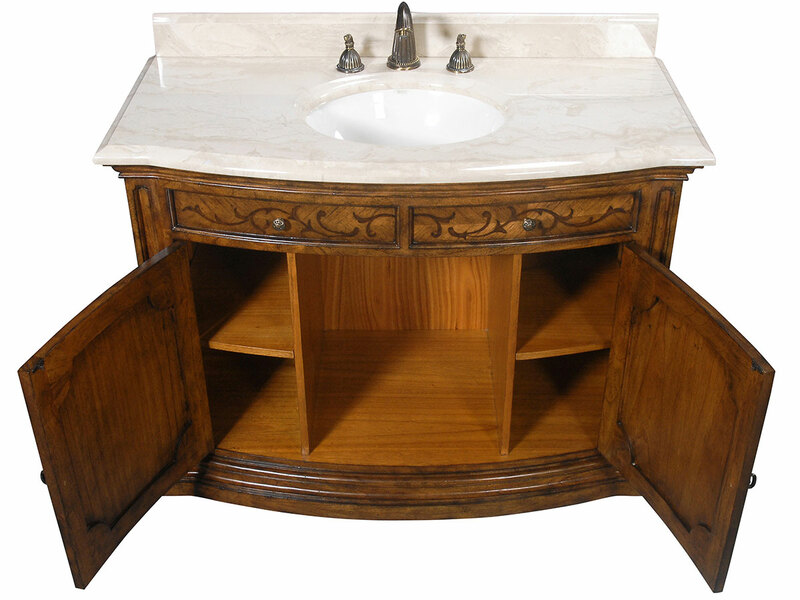 The antiquity of the 48" Julian Single Bathroom Vanity comes from its amazingly detailed marquetry design with its warm honey fnish and beautiful Imperial Beige marble countertop. 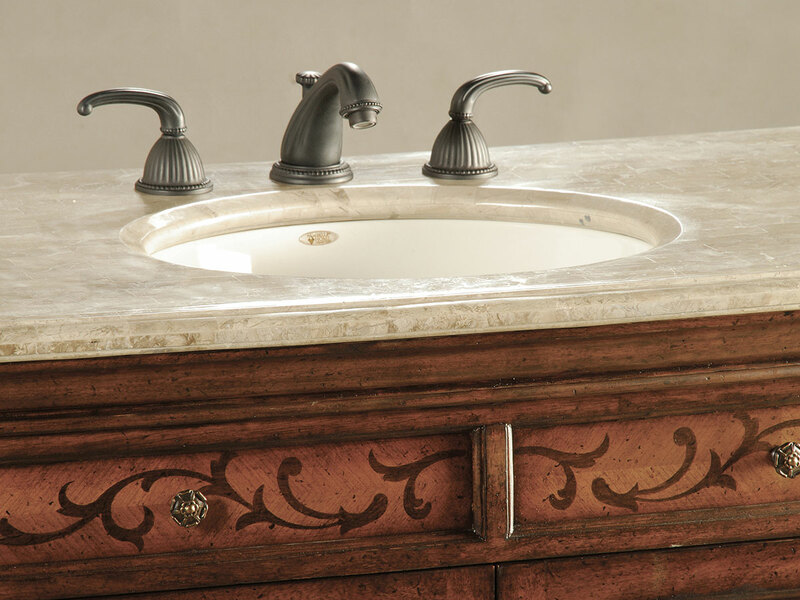 It is installed with a Balsa porcelain sink installed. 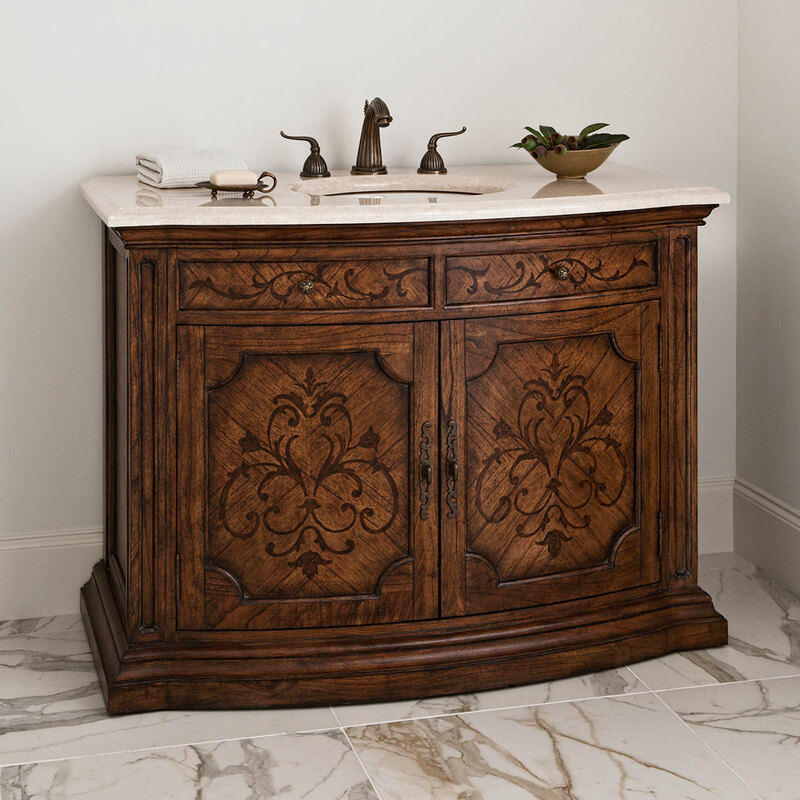 You'll love its ultra large cabinet space with double doors and antique style handles. 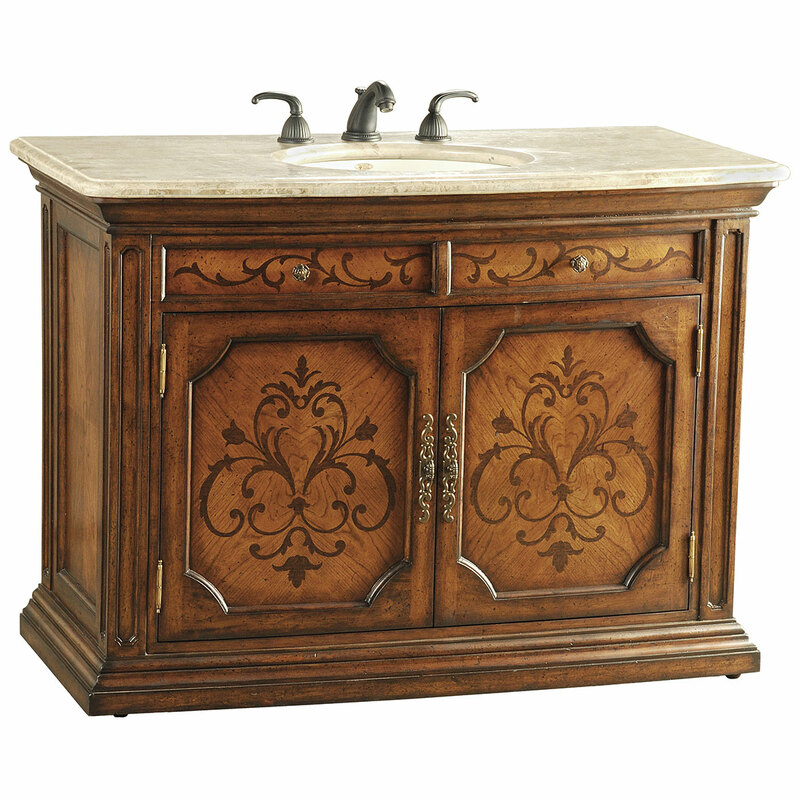 Faucet options are also available.